Ice Age Floods National Geologic Trail - Clastic Dikes at Wanapum Reservoir. 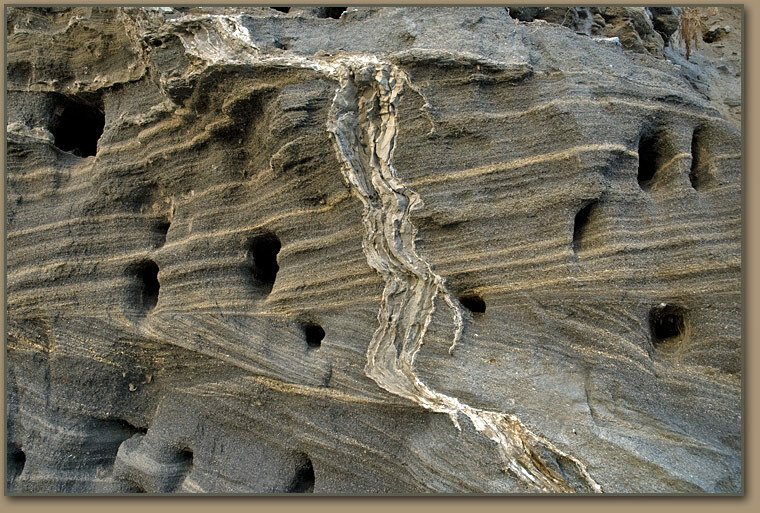 Clastic dike in plane-laminated sand. The lack of fine-grained slackwater silt layers - indicates the water was moving too fast to allow the fines to settle out (forming rhythmites) before the water escaped.